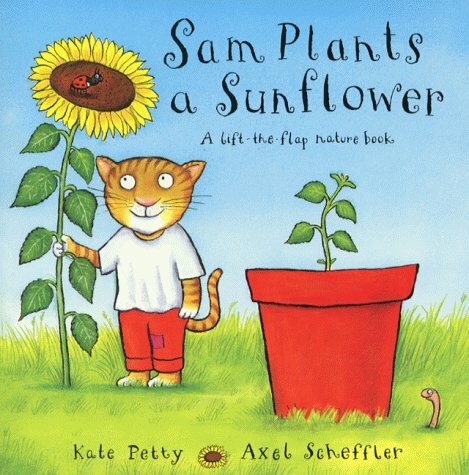 The Giverny Award is given annually every April to the author and illustrator of the book selected as the best children's science picture book (4-8). Established in by Dr. James H. Wandersee and Dr. Elisabeth Schussler in 1998. 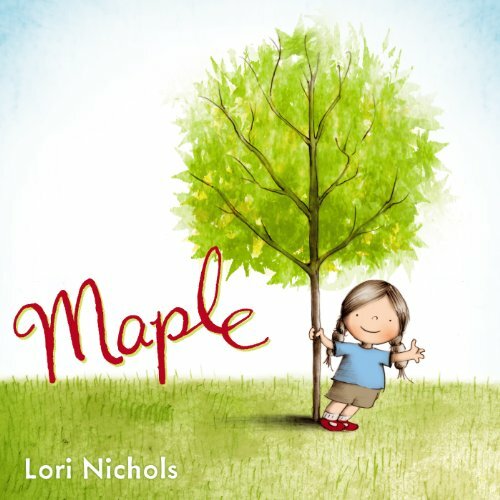 Lori Nichols' enchanting debut features an irresistible, free-spirited, nature-loving little girl who greets the changing seasons and a new sibling with arms wide open. When Maple is tiny, her parents plant a maple tree in her honor. She and her tree grow up together, and even though a tree doesn't always make an ideal playmate, it doesn't mind when Maple is in the mood to be loud—which is often. Then Maple becomes a big sister, and finds that babies have their loud days, too. Fortunately, Maple and her beloved tree know just what the baby needs. Pioneering world traveler, writer, photographer, and peace advocate Eliza Scidmore dreamed of beautifying the nation's capital, where she lived. 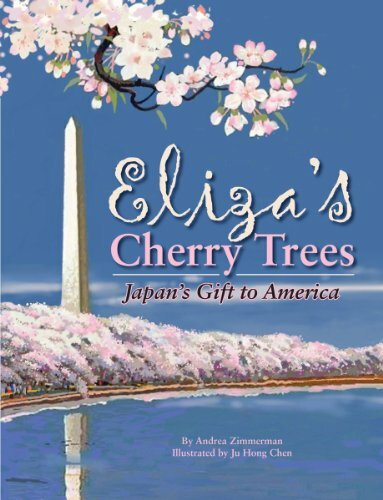 Her dream became a reality in 1912 when, because of her years of persistence, cherry trees were planted across Washington, DC. 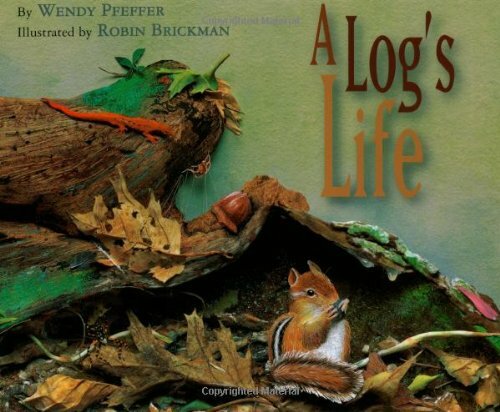 This picture book for young readers tells the inspiring story. Emmy loves trees. She loves oak trees with acorns. She loves pine trees with cones, and willow trees with swishy branches. 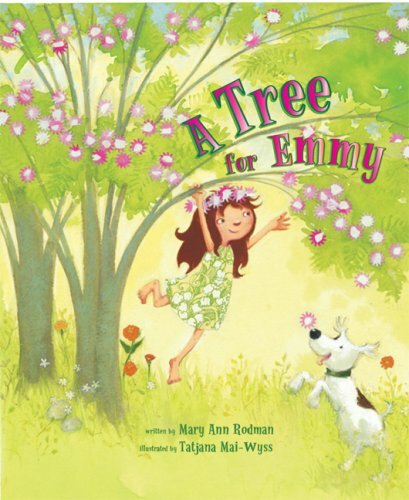 But best of all, Emmy loves the mimosa tree that grows in her grandmother s pasture. Emmy swings on its branches, plays with its fuzzy pink blossoms, and rattles its seedpods like maracas. But when Emmy decides she wants a mimosa tree of her own for her birthday, she is dismayed to find that many grown-ups do not share her enthusiasm. Garden stores only sell ornamental trees like plum or pear or tulip trees. Emmy is crushed until she discovers that the answer to her problem is growing right before her eyes! 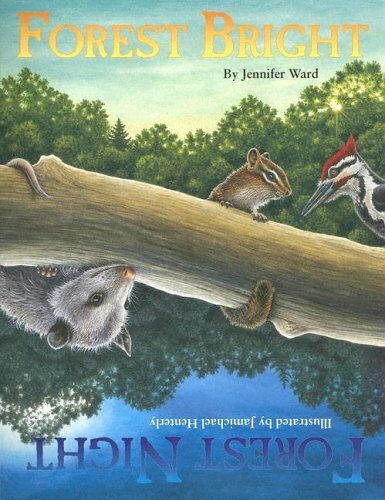 This joyful story of a spirited young girl s steadfast affection for a wild mimosa tree will appeal to all who cherish a special dream, and will help readers appreciate the natural world around them. Illustrator Tatjana Mai-Wyss s whimsical watercolor and collage illustrations capture Emmy s exuberant personality and the story s hopeful ending. 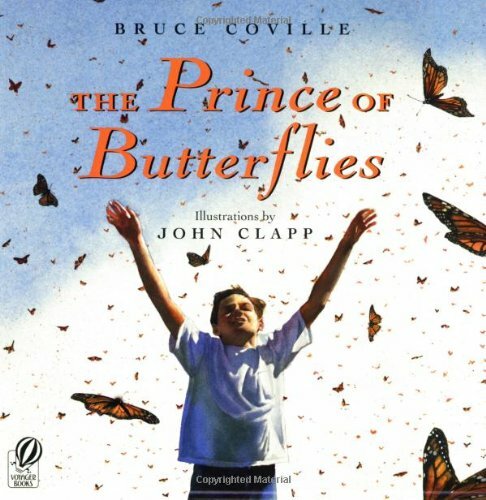 One summer morning, a flock of monarch butterflies alights on John Farrington's house and changes his life forever. Now that the meadows have become minimalls and the forests are turned into parking lots, the butterflies need a new home. Can John lead them to another refuge? 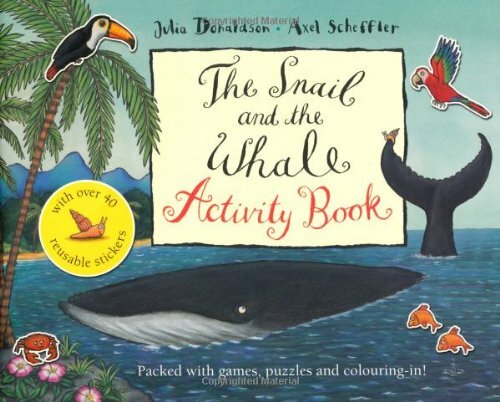 Join the dots, spot the differences, colour in and have fun recreating the adventures of the snail who hitched a lift on the tail of an enormous whale! This brilliant activity book is packed with exciting puzzles and games featuring characters and scenes from this bestselling story. There are even over 40 reusable stickers and a sticker scene -- hours of fun! Floy Hutchings, also known as Squirrel, is the daughter of the man who opened the first hotel in the Yosemite Valley in the 1860s. She has to fend for herself much of the time and is considered wild by her family and her father's guests. 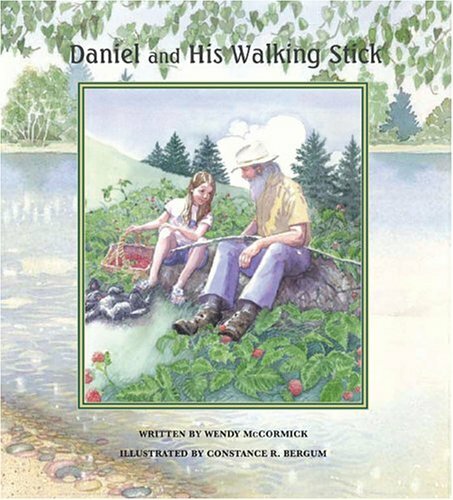 When the future naturalist John Muir is hired as a carpenter, Floy becomes his inquisitive shadow as he builds himself a cabin over a stream, talks to flowers, and listens to snow. 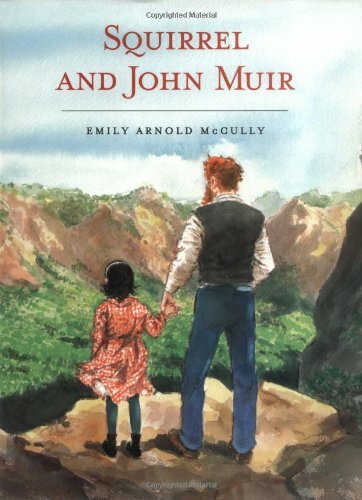 Floy, determined never to grow up because she'd have to be a lady, and Muir, searching nature for a way to live free of society's expectations, are primed to find common ground. 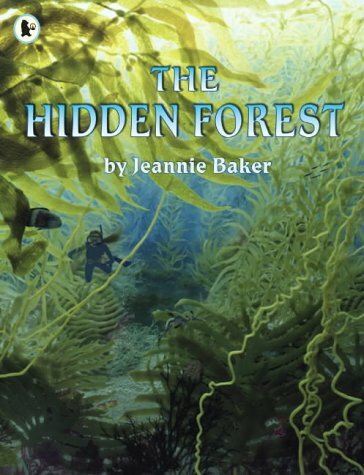 In this story set against a backdrop of watercolor paintings that vividly capture the beauty of Yosemite, Floy learns to see the world through John Muir's eyes. 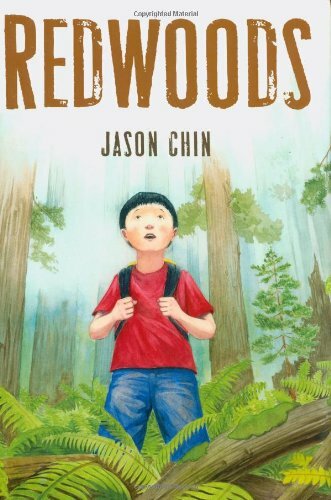 The remarkable true story of a one-of-a-kind survivor. 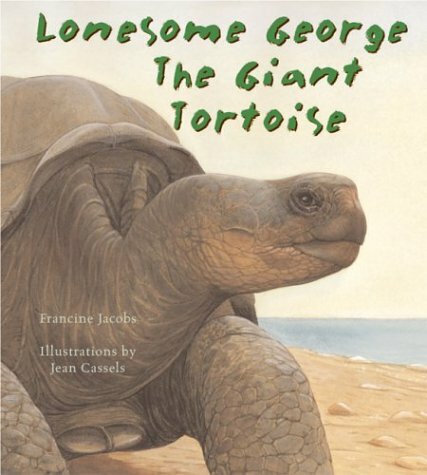 One lone tortoise lived a simple life on Pinta Island in the Galápagos Islands of the Pacific Ocean. Then visiting fishermen introduced goats to the unique island, which completely disrupted the ecosystem. One lone tortoise stubbornly clung to life, even after his fellow tortoises disappeared slowly. Then, years after it was believed that all Pinta Island tortoises were extinct, scientists discovered one lone tortoise among the rocky hills of the now barren land. The scientists named this miraculous survivor "Lonesome George" and brought him to the Darwin Research Station, where they hoped to find him a mate. Even though George has remained a steadfast bachelor while waiting for a Pinta Island mate, he is an inspiration for survival as well as a living reminder of the terrible price of extinction. Before the word dinosaur was even invented, an English girl discovered a remarkable skeleton on the rocky beach at Lyme Regis. Thus began a lifelong passion for the woman who became one of the first commercial fossil collectors. 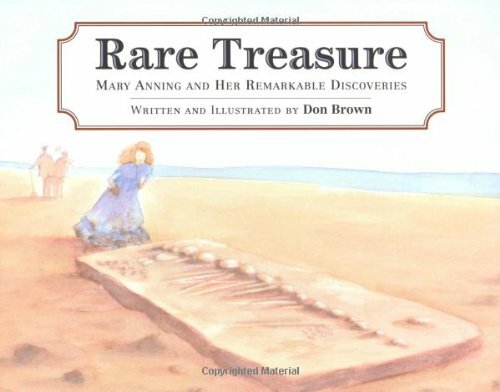 Mary Anning (1799–1847) spent her lifetime teaching herself about fossils and combing the rugged shore for ancient treasures. Her collection thrilled the public, excited the scientific community, and proved that a woman could overcome danger and social limitations to accomplish great things. 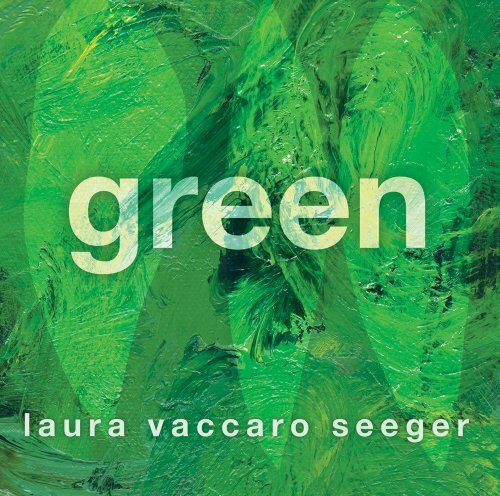 A simple story of our planet's natural resources with jewel-like paintings by Caldecott Honor author Molly Bang. 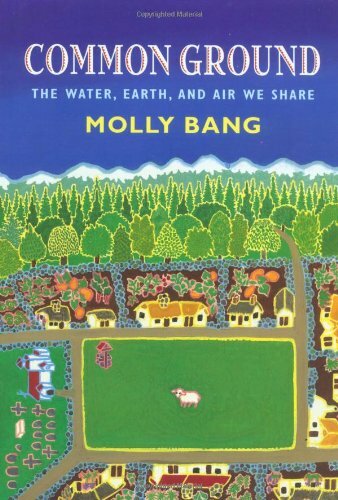 Through the example of a shared village green and the growing needs of the townspeople who share it, Molly Bang presents the challenge of handling our planet's natural resources. 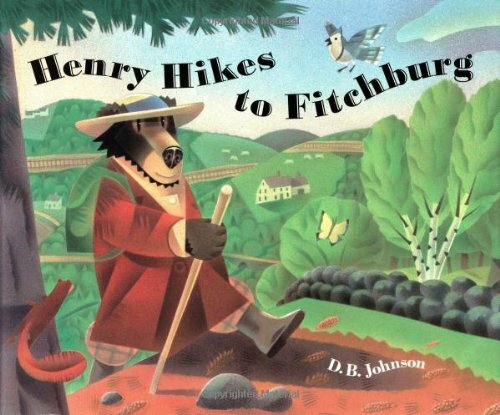 Full color picture book.